They can be grown in different types of soils; however, the soil must be well drained They are hardy in zones 4-9 The vines can be grown with very low maintenance. 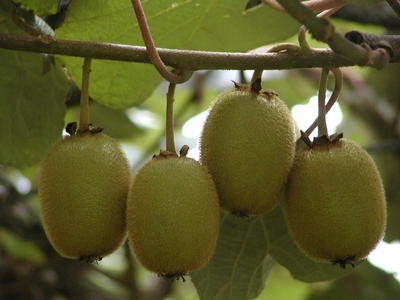 In order for Kiwi to produce fruit you need to have a male and female plant (females produce fruit) The 1 plants you will receive (Meader is growing in 3" Pot. Shipped dormant in the winter. This is just for the male plant the Meader.